Kristalina Georgieva is the chief executive officer of the World Bank. Ngozi Okonjo-Iweala is chair of the Global Alliance for Vaccines and Immunization and former finance minister of Nigeria. Both are members of the Global Commission on the Economy and Climate. The opinions in this article are their own. The fight for gender equality goes on every day of the year, but on International Women's Day let's take a moment to acknowledge how far we've come. We can celebrate that more women and girls are getting the education we deserve. More are getting the healthcare we need. And more can finally enjoy the same legal protections afforded to men. Women are speaking out more often and more effectively. 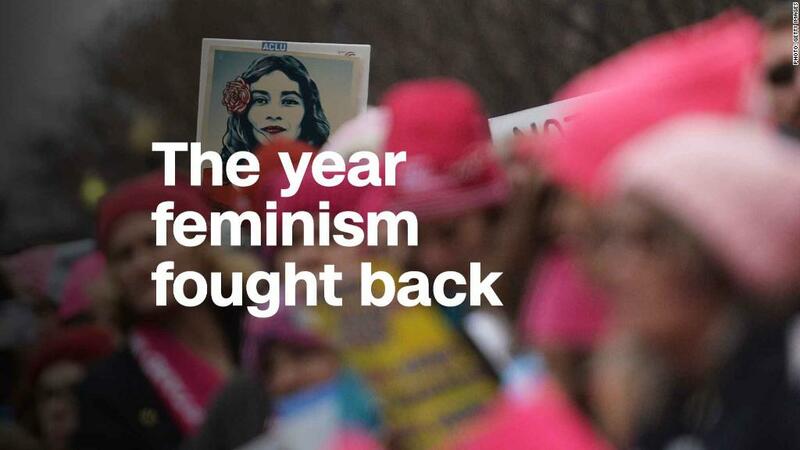 Think of the 5 million voices raised at last year's Women's March, or the success of the #MeToo movement in bringing long-overdue attention to issues of sexual assault and harassment. We are on the road to reaching gender equality, but we cannot slow down now. Simply put, it is key to ensure that we, as a global community will be stronger and more able to face challenges, including the looming threat of climate change. We must also protect hard won development gains that have taken decades to achieve. Almost half the world's economically active women work in agriculture. As managers and consumers of energy for household and small business purposes, they are also more likely than men to save water. We should beware of leaving their voices out of the conversation on climate action. In countries where women participate more fully in political life, parliaments are more likely to set aside protected land areas and ratify international environmental treaties. In India and Nepal, forest conservation has improved as a result of their participation at community level in forest management. Conversely, when gender inequality is high, forest depletion, air pollution and other measures of environmental degradation are also high. Empowered women are not only critical for the environment, but also crucial to the global economy. An increase in female labor force participation, or a reduction in the gap between women's and men's labor force participation, results in faster economic growth. Advancing women's equality could add billions to the global economy by 2025. The road to reaching gender equality runs through the environment and the global economy. Women and children are 14 times more likely to die during natural disasters because of their greater vulnerability as a result of factors that include poverty and the social norms of their communities. And after disasters strike, it is also generally much harder for poor women to recover their economic positions than their male counterparts. For positive change to happen, the Gender Action Plan endorsed at last November's Climate Change Conference in Bonn must be turned into action and investments. And there are other powerful examples of women leading the transition to a low-carbon, sustainable global economy that we should learn from. One example: The BOMA Project that helps vulnerable women in Kenya's arid lands adapt to climate change by starting small businesses in their villages. BOMA has already lifted more than 32,000 women and children out of extreme poverty. Issues that disproportionately affect half the planet's population are not women's issues, they are issues for everyone. So as we celebrate our growing empowerment, we should continue to build on our successes by raising our voices in favor of shaping the better, fairer world we want to live in.